Kitesurfing is a water sport which involves riding waves using standard or custom made soft boards. This sport has become very popular and is currently a major attraction for many adventure lovers across the world. There are several techniques of kite boarding with varying difficulties that are popular. Some brave hearts often combine these techniques together to invent customised techniques which fulfil their need for thrill and enjoyment. They practice a few basic techniques first, and once they become an expert in Kitesurfing, they invent new styles of their own. 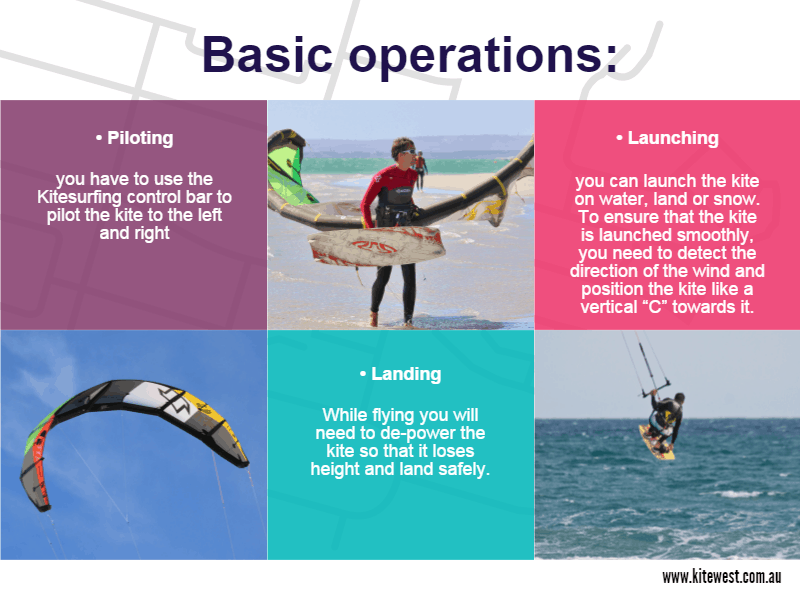 As a newbie, you will need to first learn how to pilot, launch and land the kite. These are the first things that you will need to master. Piloting: you have to use the Kitesurfing control bar to pilot the kite to the left and right. You will also need to learn how to do a figure 8 on the left and the right, form wave patterns, etc. Be sure to choose a small kite and harness yourself to a safety leash while learning this. Launching: you can launch the kite on water, land or snow. To ensure that the kite is launched smoothly, you need to detect the direction of the wind and position the kite like a vertical “C” towards it. The kite needs to get filled with enough air before you can launch it. Keep an eye on the lines and ensure that they do not get tangled while launching the kite. Once the kite is filled with the right quantity of air, you can launch it. The techniques for launching can differ slightly depending on whether you’re doing it on land on water. Check with your instructor for the exact procedure for each surface. Landing: While flying you will need to de-power the kite so that it loses height and land safely. You will have to learn how to then pilot it down slowly. This technique involves being dragged through the water directly without standing on a board. 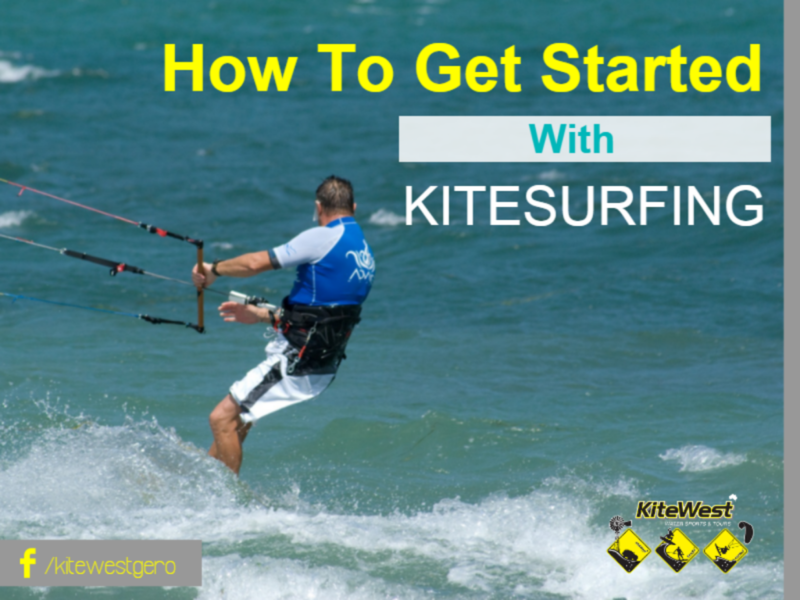 Before trying this, you have to master the safety rules and guidelines, and also the basic operations of the kite on shallow water. Head on to a familiar beach and preferably get into the water first and then launch your kite. Though a number of figure 8s and make sine wave patterns on the left as well as right to become an expert in body dragging. Once you have gained some expertise and done a few live Kitesurfing sessions, you can practice steering the board. To steer the board away from the wind, you can press more on the front foot and shift your body towards the front of the board. To steer the board towards a wind, you need to keep the windward rail underwater and press slightly on the back foot. The more you press your back foot and press the windward rail, the upwind the board will go. The kite also needs to be placed vertically at 35 to 45° in order to assist in this.